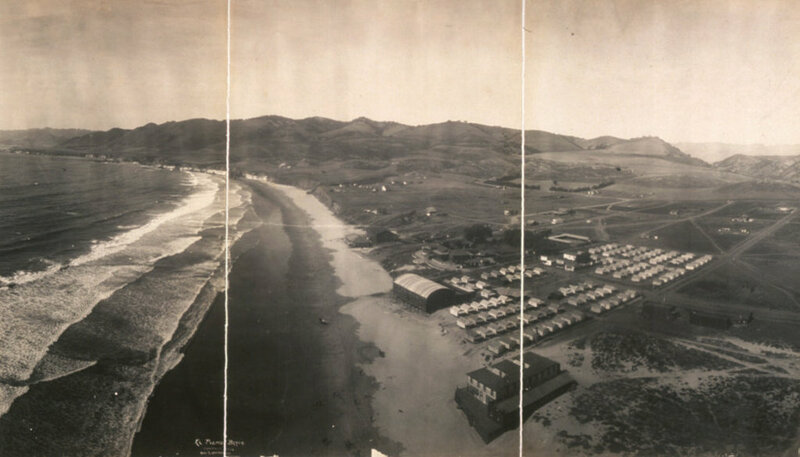 The view looking north along the shore at Pismo Beach, California, around 1906. Image courtesy of the Library of Congress, Panoramic Photographs Collection. I couldn’t perfectly recreate the first photo, since it was taken a thousand feet or so in the air, but the second photo shows roughly the same view from the ground. The 1906 photo was taken by George R. Lawrence, an early pioneer of aerial photography. He developed what he called a “captive airship,” which was a kite-supported camera that could take pictures up to 2,000 feet in the air, all while being controlled remotely from the ground. In many ways, Lawrence’s invention was an early version of a drone, and like modern-day drones, it was seen as a potential surveillance tool for the military. However, it was also commercially valuable, as demonstrated by Lawrence’s most famous photo, which was taken in the aftermath of the 1906 San Francisco earthquake. He sold prints of this image for $125 each (over $3,000 today), earning around $15,000 from it, or close to $400,000 in 2016. While he was in California, though, San Francisco wasn’t his only job. 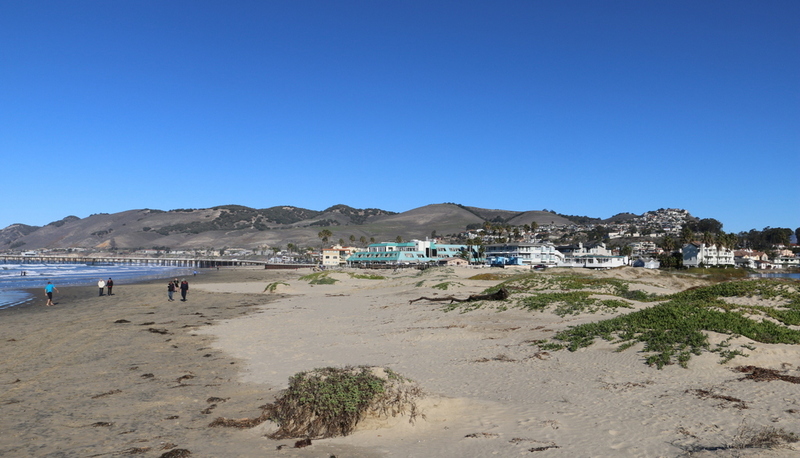 Hoping to promote tourism to their new resort, the El Pizmo Beach Company hired Lawrence to photograph Pismo Beach, especially their El Pizmo Inn in the lower right of the photo. The inn included the “Tent City,” which consisted of several block of tents that measured 14 feet by 18 feet and could be rented for $6 per week. Entertainment at the resort included the dance pavilion, which is the building in the lower center of the photo with the cylindrical-shaped roof. In the 109 years between the two photographs, not much is left from the original image. The hills in the distance have not changed much,but Pismo Beach itself has become the resort city that the 1906 owners of the El Pismo Beach Company probably hoped it would be. In the years after the aerial photo was taken, the tent city continued to grow, attracting many visitors from San Francisco who sought warmer temperatures in the southern part of the state. By the early 1930s, most of the tents were replaced with more permanent cottages, and the dance pavilion burned down in 1945. There are few landmarks left to identify the original image, although, as a point of reference, the pier in the distance on the left side of the 2015 photo is at about the same spot where the dance pavilion once stood.